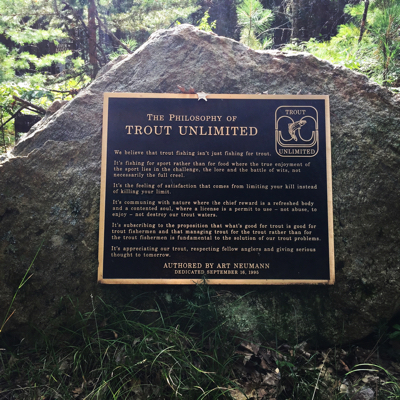 The philosophy behind Trout Unlimted began on the banks of the Au Sable river in Michigan. From the beginning, TU was guided by the principle that if we "take care of the fish, then the fishing will take care of itself." And that principle was grounded in science. "One of our most important objectives is to develop programs and recommendations based on the very best information and thinking available," said TU's first president, Dr. Casey E. Westell Jr. "In all matters of trout management, we want to know that we are substantially correct, both morally and biologically."